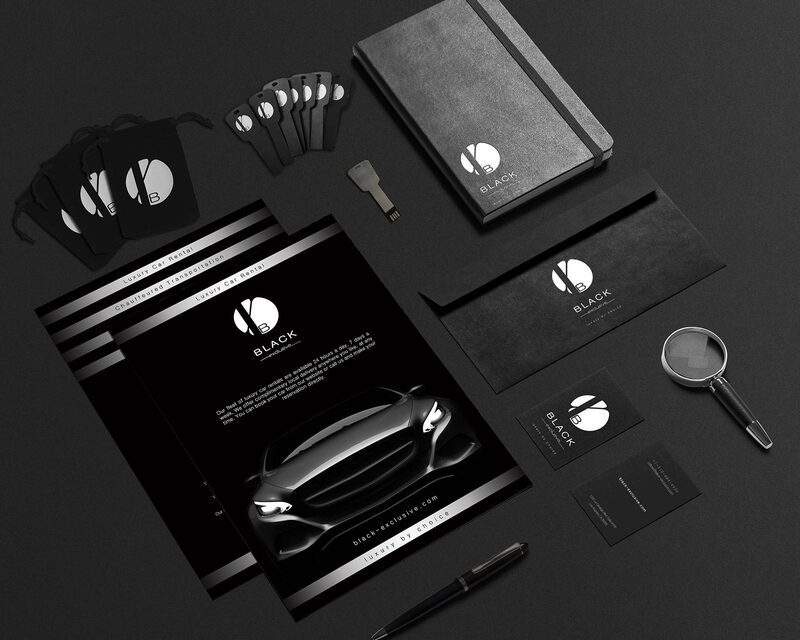 Established in 2002, Black Exclusive group is a full service transportation company that offers professionally chauffeured late model sedans, luxury rental cars and sightseeing tours. It is the only one-stop shop for everything in transportation, travel and accommodations. Aside from arranging the client’s transportation needs, it also handles all their travel arrangements with the most competitive rates, while always maintaining the highest standards of service. The project’s target was to outline the company’s values and targeted market. 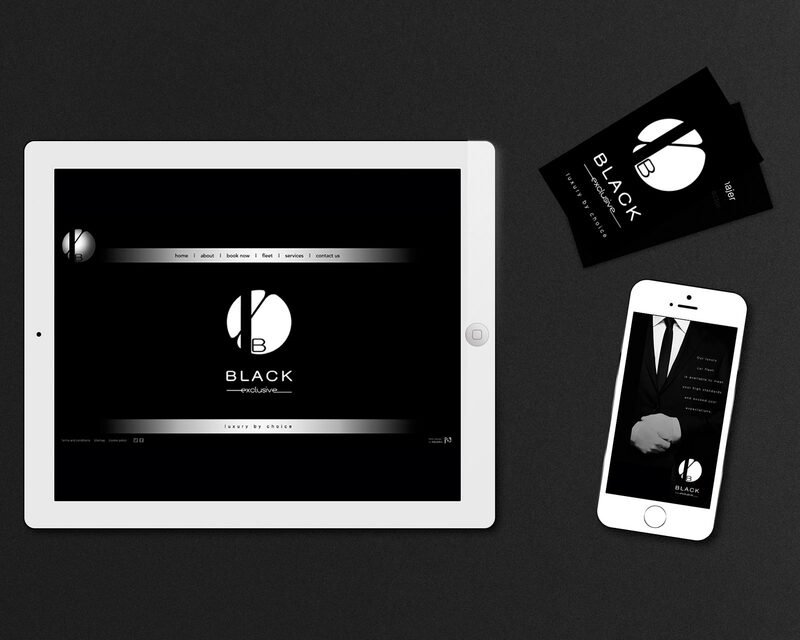 Black Exclusive is defined by elegance and refinement, two traits which we used as guidelines in designing the visual identity for the brand: simple and posh, so it is easy to see it anywhere and distinguish it. The logo is round in order to suggest a global approach when we speak about the company’s features. The “X” inside the circle shows on one hand seriosity and proficiency through one wide and strong base, on the other hand a fluent, connective and adaptive company profile. As for the central ‘B’, it stands for the company’s individuality, for its ego. It is the ‘B’ in black for the whole high-end society to know the company by. For the color scheme we chose black & white as we find it to be the timeless symbol of class and elegance. We specifically used a “sans serif” font because we were aiming for that contemporary visual poise, to describe the company’s luxury approach. It was designed with 2 different fonts in order to reveal a very important feature: personalised, custom premium services. The slogan used to describe their services, “luxury by choice” was conceived to be neat and simple, easy to recognise and memorise. This reveals the premium range of activities, no matter one’s luxurious needs and truffles. Choose your own, it’s all luxury. 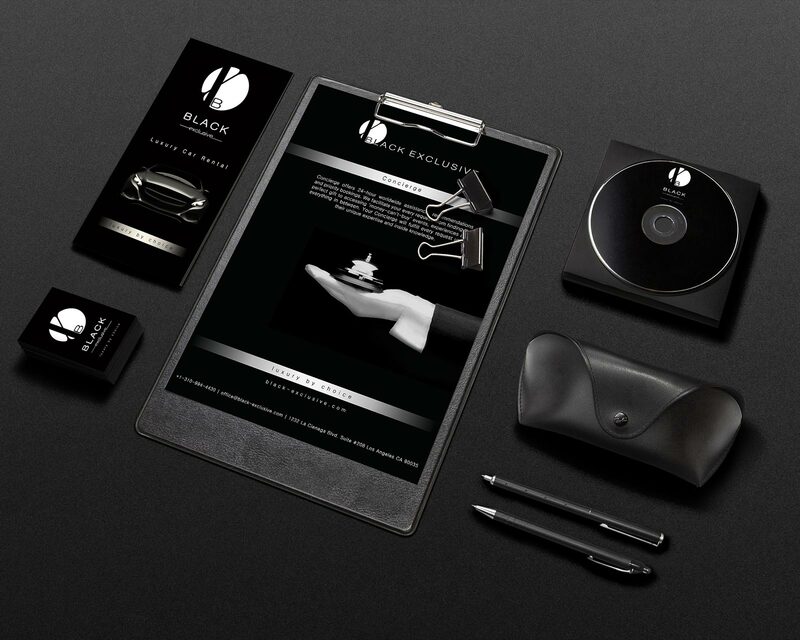 It is often said that true refinement is reached through the beauty of a pure structure, not by adding embelishments and that is what we tried to achieve by designing the visual identity for Black Exclusive.